Beijing is the capital of the most populated country in the world; that alone should be an indication of the madness waiting for you just outside of the airport doors! But don’t despair: a visit to Beijing is an unforgettable experience and you’ll rarely have a dull moment. Most international flights arrive at the enormous Beijing International Capital Airport (airport code: PEK). After arriving, you’ll have to pass through immigration — you need an existing visa for China in your passport — and then you’ll want to use an ATM to get money for transportation outside. You can use the train system to reach Beijing, although after a long flight, grabbing a taxi directly to your hotel is an easier option. Use the official taxi stand at the ground level of the airport to avoid the numerous taxi scams; many unregulated taxis have modified meters that will charge you more. Tip: Many taxi drivers do not speak very much English. Having the name of your hotel or address in Chinese characters to show a driver is a big help. Beijing has all of the usual big-city transportation options available: buses, taxis, and a subway. The subway is extensive, perpetually crowded, and the cheapest way to get around the city. The last trains usually run around 10:30 p.m. Pre-paid cards, offered in many subway stations, are a big convenience for travelers who will be moving around the city often; they even come with discounts on buses. With very congested traffic conditions, getting around on foot is a good option, particularly if your hotel is centrally located. You’ll certainly pass lots of interesting, authentic sights just while walking through the city. Tip: Take a business card from your hotel with you. In case you get lost — easy to do in Beijing — you can show it to get directions. At least a day or two could be spent strolling around one of the world’s largest concrete squares, Tiananmen Square. After visiting the attractions and doing a few people watching, you’ll be better in tune with the unique vibe in Beijing. Tiananmen Square is the concrete heart of China, and with the Forbidden City. 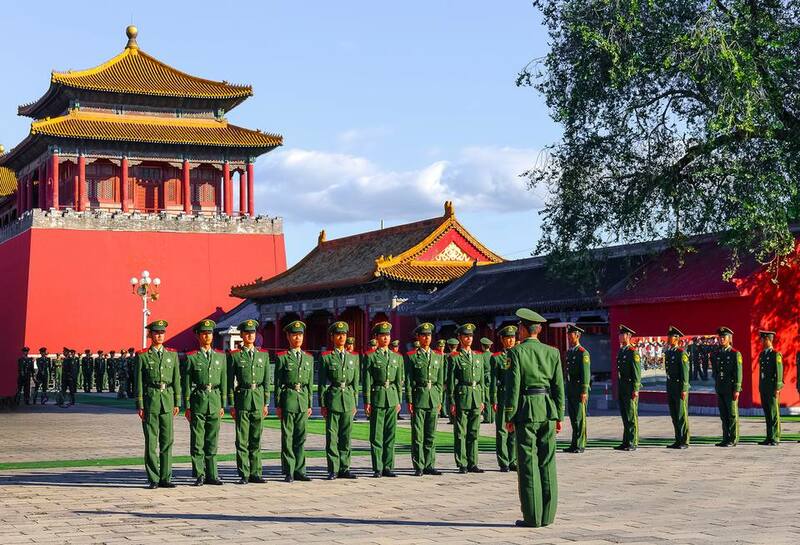 numerous museums, and the Chairman Mao Mausoleum, there is plenty to do within walking distance. No trip to China is complete without a visit to a section of the Great Wall. The Badaling section of the wall is the easiest to access from Beijing, however, that means you’ll have to contend with terrible crowds and rampant restoration. If time allows, opt to visit the Simatai or Jinshanling sections of the Great Wall instead. Tip: If you decide to go with a tour, purchase your tickets to the Great Wall from your hotel or a reliable source. Some bus trips spend more time at tourist traps along the way rather than at the wall! While signs and menus found around tourist areas are in English, don’t expect that the average resident will understand English — many don’t. Friendly students seeking to practice English may offer to help you with transactions such as buying tickets. For the most part, taxi drivers will understand very little English, perhaps not even the word ‘airport.’ Have your reception desk write addresses for you in Chinese on a piece of paper to show drivers. With scores of dialects, Chinese people from different regions even experience difficulty communicating. To avoid misunderstandings when negotiating prices, a simple system of finger counting is used. The numbers above five are not just a matter of counting fingers! Crime: Despite the crowded conditions, Beijing is actually quite a safe city and has a lot less violent crime than much smaller American cities. Petty theft is sometimes a problem; be vigilant with belongings on crowded public transportation. Some of the remote suburbs of Beijing are far less safe than the center of the city. Traffic: Crossing the street in Beijing is perhaps one of the most dangerous things to do in China. Don’t assume that traffic signals work, or if they do work, that they’ll be obeyed by drivers. Always cross at designated crosswalks and try to walk with a mob of locals rather than crossing alone. Air Pollution: Beijing was literally the most polluted city in the world until New Delhi, India, seized the title in 2014. The air quality is often apocalyptic and is exasperated by summer humidity. Many locals wear a mask when walking outside; Travelers with respiratory issues should consider doing the same. Scams: While muggings are incredibly rare, locals have worked out ways to rob tourists more subtly. Scams that target travelers are prevalent throughout China. If someone approaches you on the street to change money, play a game, or sit in a tea ceremony, a scam is probably unfolding! See more about staying safe while in Asia. Read about some common scams in Asia to avoid.